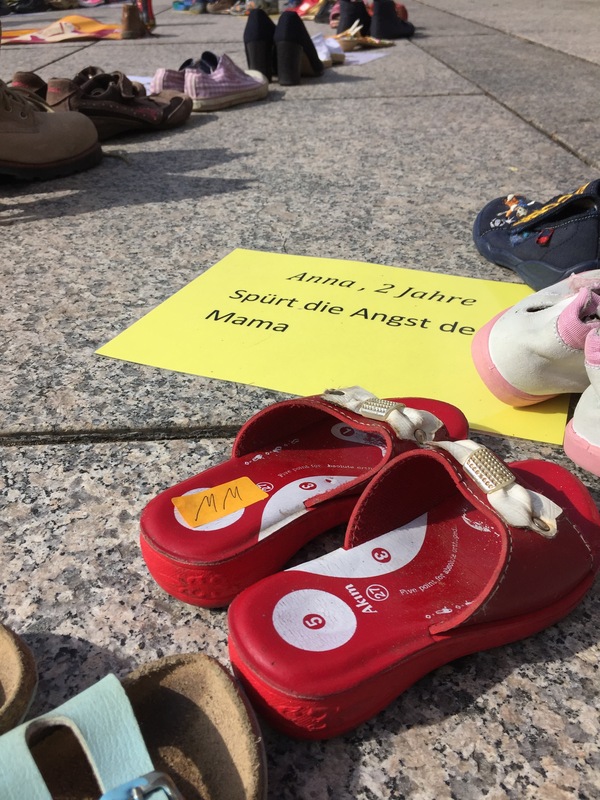 An event in front of the Staatstheater on Friday, highlighting the work of and need for womens’ refuges in a most powerful way. 20 Sep	This entry was published on 20 September, 2015 at 08:00 and is filed under Mainz. Bookmark the permalink. Follow any comments here with the RSS feed for this post. Newer: It’s a hard life…..
People in Germany are making powerful statements.